Girls face a number of complex issues affecting their successful transition into adulthood, some of which include self-esteem, body image, relational aggression and forming healthy relationships. 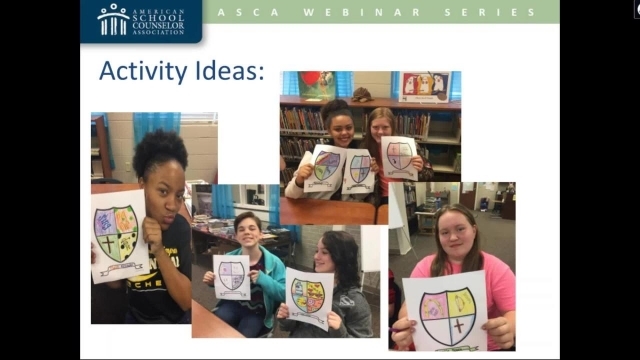 Hear how one 2018 ASCA School Counselor of the Year finalist addressed these issues for her middle school girls through the creation of a girls’ group, GLOW: Girls Learning to Be Outstanding Women. Focus on the value of helping girls develop SEL skills in a safe and supportive environment, and walk away with concrete ideas and resources you can use to implement a similar program in your school. Download accompanying handout. Crystal Brewer is the school counselor at Simpson Central School, a K-8 school in Pinola, Miss. She has been a school counselor for 17 years and has served as president of the Mississippi School Counselor Association and as a RAMP reviewer. She was selected as a 2018 School Counselor of the Year finalist and has presented at local, state and national conferences. Simpson Central was named one of the first RAMP Schools of Distinction in 2016.